The domain within your query sequence starts at position 428 and ends at position 528; the E-value for the SR domain shown below is 3.9e-56. The sea ucrhin egg peptide speract contains 4 repeats of SR domains that contain 6 conserved cysteines. 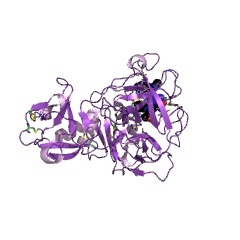 May bind bacterial antigens in the protein MARCO. 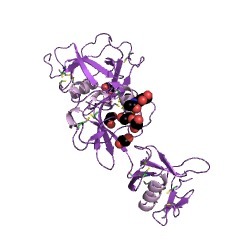 The scavenger receptor cysteine-rich (SRCR) domain is an ancient and highly conserved domain of about 110 residues which is found in diverse secreted and cell-surface proteins, like the type I scavenger receptor, the speract receptor, CD5/Ly-1, CD6, or complement factor I [(PUBMED:1978939)]. Tandem repeats of SRCR domains are common in the membrane bound proteins. 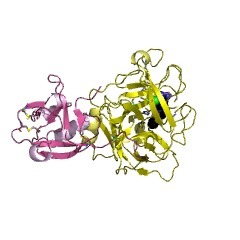 Most SRCR domains have six to eight cysteines that participate in intradomain disulfide bonds. 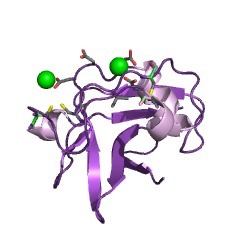 SRCR domains have been subdivided into two groups, A and B, primarily on the differences in the spacing pattern between the cysteine residues [(PUBMED:8140623), (PUBMED:10074941)]. 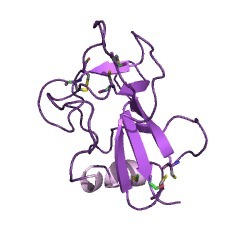 Besides type I scavenger receptor, this domain can also be found in the N-terminal of hepsin [(PUBMED:12962630)]. There are 45697 SR domains in 14875 proteins in SMART's nrdb database. Taxonomic distribution of proteins containing SR domain. This tree includes only several representative species. The complete taxonomic breakdown of all proteins with SR domain is also avaliable. Click on the protein counts, or double click on taxonomic names to display all proteins containing SR domain in the selected taxonomic class. Cloning of a novel bacteria-binding receptor structurally related to scavenger receptors and expressed in a subset of macrophages. A novel murine plasma membrane protein has been identified in subpopulations of macrophages. 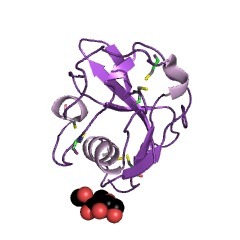 It has an intracellular N-terminal domain, a transmembrane domain, and an extracellular region with a short spacer, an 89 Gly-Xaa-Yaa repeat-containing collagenous domain, and a C-terminal cysteine-rich domain. In situ hybridization and immunohistochemical staining have localized the protein to a subset of macrophages in the marginal zone of the spleen and the medullary cord of lymph nodes. No expression was observed in macrophages of liver or lung. Transfected COS cells synthesized a native trimeric plasma membrane protein that bound labeled bacteria and acetylated LDL, but not yeast or Ficoll. The results suggest that the novel protein is a macrophage-specific membrane receptor with a role in host defense, as it shows postnatal expression in macrophages, which are considered responsible for the binding of bacterial antigens and phagocytosis. Macrophage scavenger receptors are integral membrane proteins whose ability to bind and degrade modified LDL has implicated them in the process of atherosclerotic foam cell formation. Their ability to bind non-lipoprotein ligands suggests that they participate in other macrophage-associated host defense activities. 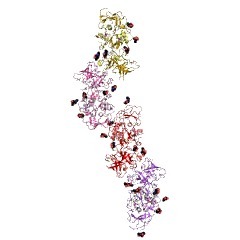 Studies utilizing cloned native and mutant forms of the scavenger receptor have provided insights into the structural basis for their function. 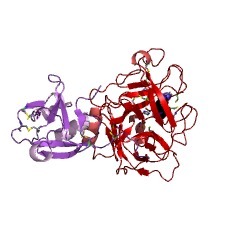 The lymphocyte glycoprotein CD6 contains a repeated domain structure characteristic of a new family of cell surface and secreted proteins. The isolation, characterization, and expression of a full-length cDNA encoding the human T cell glycoprotein CD6 is described. COS cells transfected with the CD6 clone express a 90-kD protein that reacts with all available anti-CD6 monoclonal antibodies. RNA blot hybridization analysis indicates that CD6 transcripts are predominantly restricted to cells in the T lineage. 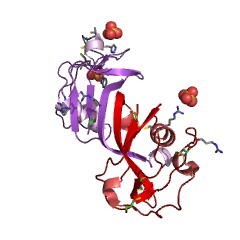 The predicted CD6 sequence is 468 amino acids long, with the typical features of a type I integral membrane protein. 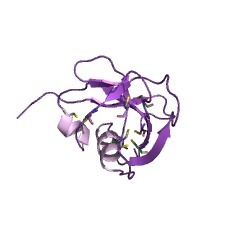 The cytoplasmic domain of CD6 contains two serine residues, one or both of which are substrates for phosphorylation during T cell activation. 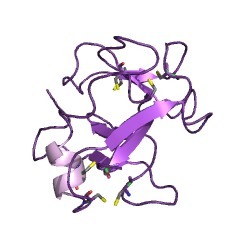 The extracellular domain of CD6 is significantly related to the extracellular domain of the human and mouse T cell antigen CD5, the cysteine-rich domain of the bovine and mouse type I macrophage scavenger receptor, the extracellular domain of the sea urchin spermatozoa protein that crosslinks the egg peptide speract, the mammalian complement factor 1, and the human lung tumor antigen L3. These molecules, therefore, constitute a new gene superfamily that is well conserved across species boundaries. An ancient, highly conserved family of cysteine-rich protein domains revealed by cloning type I and type II murine macrophage scavenger receptors. Cloning of the mRNA for the protein that crosslinks to the egg peptide speract. An apparent receptor for the egg peptide speract (Gly-Phe-Asp-Leu-Asn-Gly-Gly-Gly-Val-Gly) was identified by covalently coupling a radiolabeled speract analogue to intact spermatozoa and was then purified by DEAE-Sepharose chromatography and preparative gel electrophoresis after solubilization with Lubrol PX. 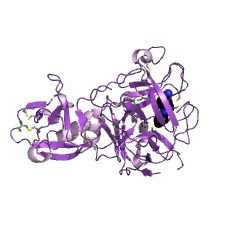 The purified, crosslinked protein was digested with Staphylococcus aureus V8 protease and a resultant peptide, purified from polyacrylamide slab gel slices, was shown to have the amino acid sequence Val-Ser-Ala-Pro-Phe-Asp-Leu-Glu-Ala-Pro-Phe-Ile-Ile-Asp-Gly-Ile. 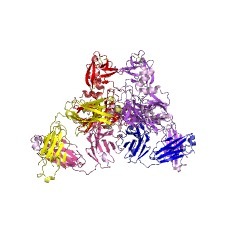 Polyclonal antiserum, generated against a synthetic peptide that corresponded to the above sequence, immunoprecipitated the radiolabeled crosslinked protein and reacted with a Mr 77,000 protein on immunoblots, demonstrating that the sequenced peptide originated from the apparent receptor. A clone containing a 2.5-kilobase insert was subsequently isolated from a sea urchin testis cDNA library that contained DNA sequences encoding an open reading frame of 532 amino acids that included the above peptide sequence. 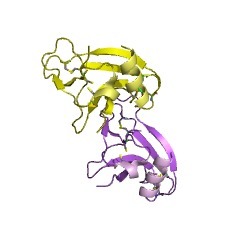 The deduced amino acid sequence suggests that the protein contains a 26-residue amino-terminal signal peptide, a large extracellular domain relatively rich in cysteine (5%) that includes a four-fold repeat of about 115 amino acids, a single membrane-spanning region, and only 12 amino acid residues extending into the cytoplasm. Analysis of total RNA from Strongylocentrotus purpuratus testis by Northern blot revealed a 2.5-kilobase RNA. Preliminary data show the presence of hybridizing RNA of the same apparent size in other sea urchin species, including Arbacia punctulata, which does not respond to speract. This information is based on mapping of SMART genomic protein database to KEGG orthologous groups. Percentage points are related to the number of proteins with SR domain which could be assigned to a KEGG orthologous group, and not all proteins containing SR domain. Please note that proteins can be included in multiple pathways, ie. the numbers above will not always add up to 100%.